LANDSLIDE VICTORY FOR NATIONALISTS IN SCOTLAND; DEFEAT FOR LABOUR IN ENGLAND. and we did not listen. Therefore this distress has come upon us! Did I not say to you, do not sin against the child! so for his blood, now, satisfaction is demanded! for a translator was between them. But he turned away from them, and wept. When he was able to return to them, he spoke to them and had Shim’on taken away from them, imprisoning him before their eyes. and give them victuals for the journey. They did so for them. Then they loaded their rations on to the donkeys and went from there. He saw his silver-there it was in the mouth of his pack! My silver has been returned, yes, here in my pack! 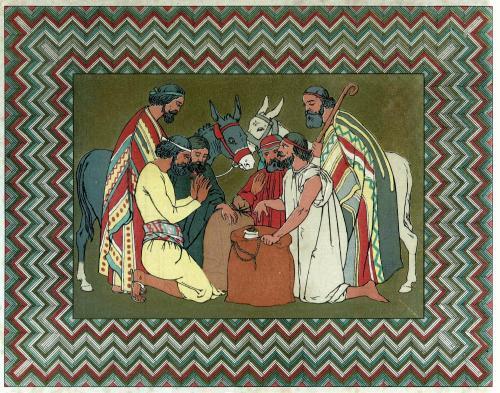 This is a great illustration of how the storyteller shows God at work: it doesn’t happen through magic deeds of power, but through the working of human hearts and minds, using ordinary materials like wheat and food-sacks and donkeys. The brothers do not recognise Yosef, but he is very much in their minds. The narrator shows psychological insight here in the way the presence of their unrecognised brother plus their own guilt at what they did to him, makes then think of him. “So now for his blood, satisfaction is demanded!” Re’uven says, little realising the literal truth of his utterance, as Yosef designs a scenario which will test them but will not harm them, although even as he secures ample supplies for them, he cannot resist teasing them with the return of their payments. 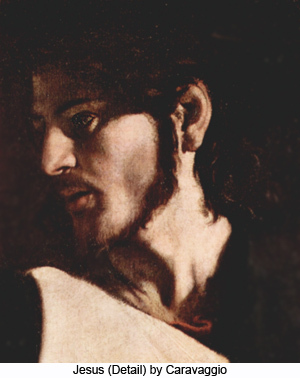 “What is this that God has done to us?” – the question shows their misunderstanding of God’s ways: they have brought it upon themselves,(as Re’uven says) with some help from Yosef. God desires justice but he does not impose it by force. Indeed if he did impose it by force there would no need to command it and no point in commending it. I like your summary of what the SNP stands for and its attitude to England!! Too bad the English have taken the same route as US Americans in recent years.